On July 4th, 2013 I was at the Malcolm Martin Memorial Park in East St.Louis, IL. 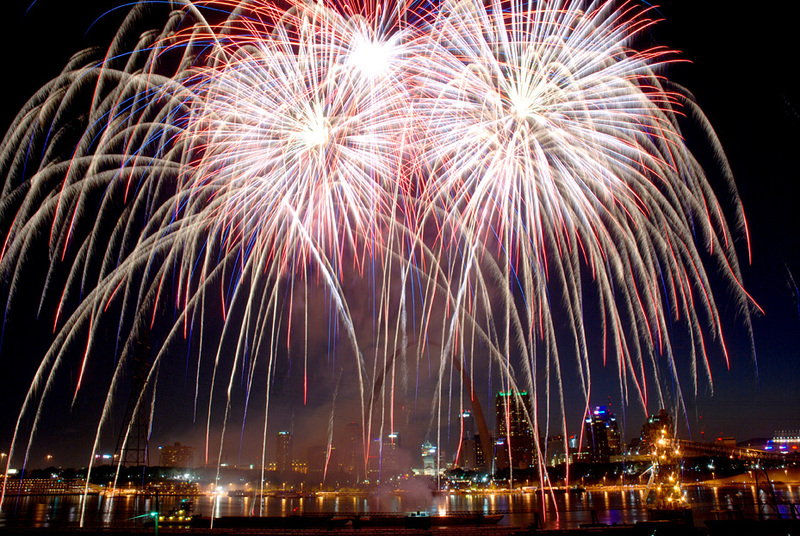 to shoot the Fair St.Louis fireworks for the Edwardsville Intelligencer. At the park is the Mississippi River Overlook, which provides an excellent view of the surprisingly close St.Louis Gateway Arch. These are some of those photographs.